The Mercedes-Benz G-Class - or G Wagen as it has previously been known - has been built in Austria since 1979 and sales are booming despite its unrivalled vintage. The Mercedes-Benz G-Class - or G Wagen as it has previously been known - is the undisputed production champion on the Carzone.ie pages. It has been built in the Steyr Magna factory in Graz, Austria since 1979 and sales are booming despite its unrivalled vintage. It might have been around forever, but it's always been an expensive model, so used examples are relatively scarce and they command high prices in comparison to other 4x4s. Conceptually the G-Class is best thought of as a rival for the Land Rover Defender. Both feature tough, ladder frame chassis with the bodies on top, allowing their respective manufacturers to create all sorts of different working derivatives for customers' particular needs. That means the G-Class has been offered in a variety of body styles though more normally they are three- and five-door station wagons, and, unusually, a fabric backed convertible version based on the short wheelbase three-door. Those cabriolets are super rare, though, and production finished in 2013. 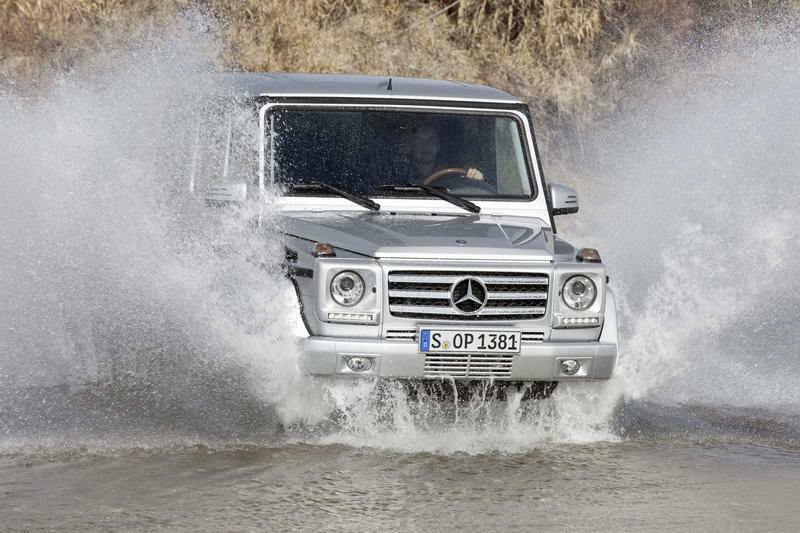 Given its lengthy life it's no surprise that the G-Class has been powered by all manner of Mercedes-Benz engines. These range from fairly ordinary diesel and petrol units to the frankly ludicrous AMG V8 and V12s - with a couple of turbochargers on each just in case they're not ballistic enough. Those AMGs account for more than 50 per cent of new sales around the world now, but they're cripplingly expensive - not just to buy, but to run. Best to seek out something a bit more sensible then, as the G is more commonly found in the classifieds with a four-cylinder 2.0-litre turbodiesel, or a 2.3-litre petrol engine. All are four-wheel drive, with three differentials and a low-ratio transfer box giving the G-Class the sort of off-road ability that's only bettered by mountain goats. None will be particularly cheap to run, as the G is heavy and its engine tech (for those in the classifieds at least) is old, so don't expect fuel consumption in any version to be very good. What will be tremendous is the build quality; this harks back to an era where engineering, not accountancy, dominated car development at Benz. The doors shut with the authority of the bomb-proof gates on a Bond villain's extinct volcano lair, and it feels like it could take a direct nuclear strike. The steering's a bit lazy, but there's something deeply satisfying about the G-Class, which goes a long way to underlining why it's been on sale for so long. More than any vehicle featured on Carzone, buy on condition. Ideally we'd choose a 2.0-litre diesel, but the 2.3-litre petrol is more common, and it's not a machine you're likely to be doing long journeys in. Specs are relatively basic, but check it all works - it will in likelihood. Among the longest produced cars in the world, the G-Class is a fairly unique proposition. Rugged and durable, if you need a solid workhorse then this could be it. Though it's expensive to own and run. But worth it.